It cannot get more convenient than this. There is no need to enter the property or make an appointment: consumption values can be recorded simply and easily. The devices measure consumption values and record them at the middle and end of the month and on a predetermined day that can be programmed as desired. An integrated transmitter transmits the coded data via radio. More than four million Gestical radio metering devices are used all over the world to read consumption data. 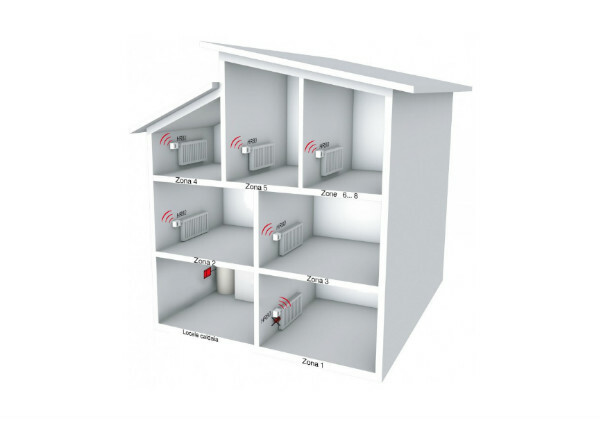 Easy to install, they are completely wireless and therefore free from additional costs for technical or building work. Gestical radio metering devices used to record consumption data. Readings performed effortlessly, with or without the tenant’s presence, without estimated consumption values and without the need for administratively-expensive appointments. Automated transmission and processing of data, free from errors, guarantees fast accounting within the agreed time scales. The meter reader does not need to enter the property and accounting is accurate, transparent, convenient and timely. The radio system is less demanding for users as there is no need to make appointments or take interim readings on site.